For the last 13 years REC and RX7 Specialties has been one of the only outfits we know of to offer all the parts and services to complete a turn key three rotor powered FD. We not only sell every customize parts needed for this conversion but our shop services and expertise are available to help you build this 600 RWHP Demon. REC offers a variety of side housing services in order to aid in restoration of the side housings which will in turn offer back performance and longevity benefits. 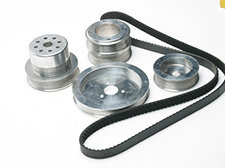 We offer more than just engine building services and availability to wholesale priced parts. 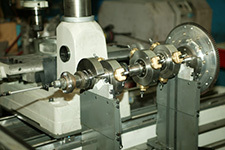 We are a full machine shop with special tools and customized jigs to manufacture and modify unique rotary engine parts and performance accessories. 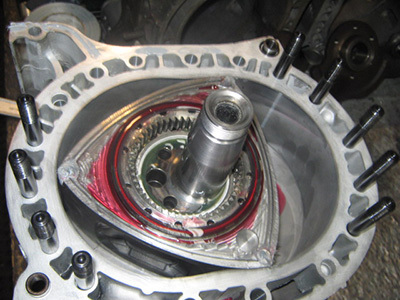 We have recently developed procedures to convert your rotary engine to a completely aluminum engine block. You may have noticed one of our claims on the home page of this website is "home of the all aluminum 3 rotor engine". With 20 years of experience and a keen understanding of Rotary engineering, along with the aid of a Sunnen engine balancer and our milling center, REC has perfected the process of dynamic balancing of all Rotary engine rotating assemblies. 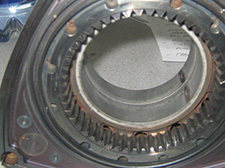 We offer a wide variety of upgrade and performance stationary gear and engine bearing parts and services. 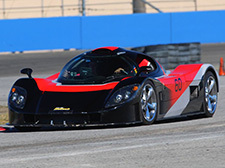 Much of what we do within this category is targeted around strength, reliability and longevity. 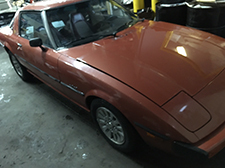 Detailed start to finish project involving putting a 700HP 3 rotor engine into a stock appearing 1st gen RX7. The ultimate sleeper! View our video section for a link to the full video for this project.